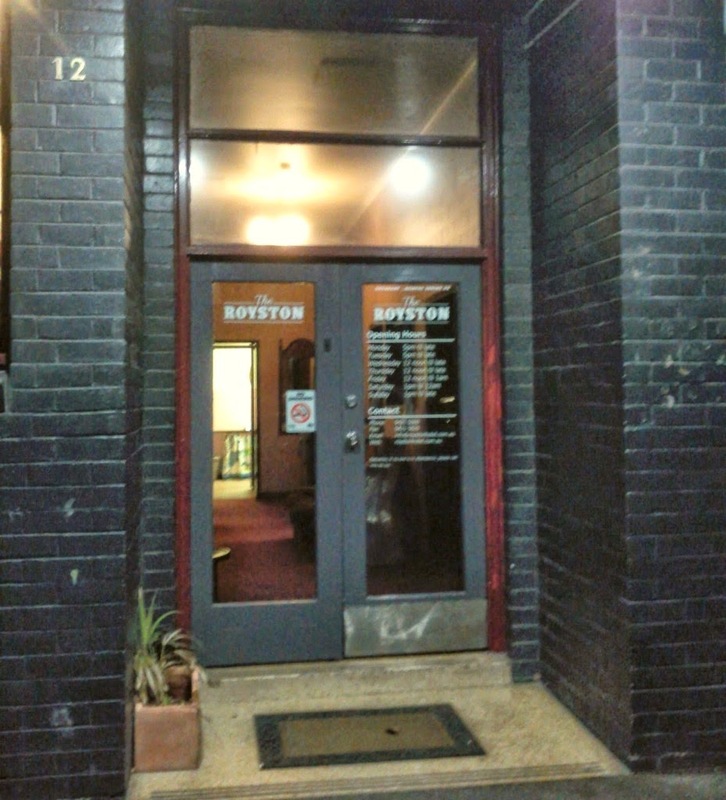 On a quiet backstreet corner at the Burnley end of Richmond, the Royston Hotel is fairly discreet in its presence. Through the door we headed right, where we'd reserved a table wood paneled dining room which had an almost French Bistro vibe. 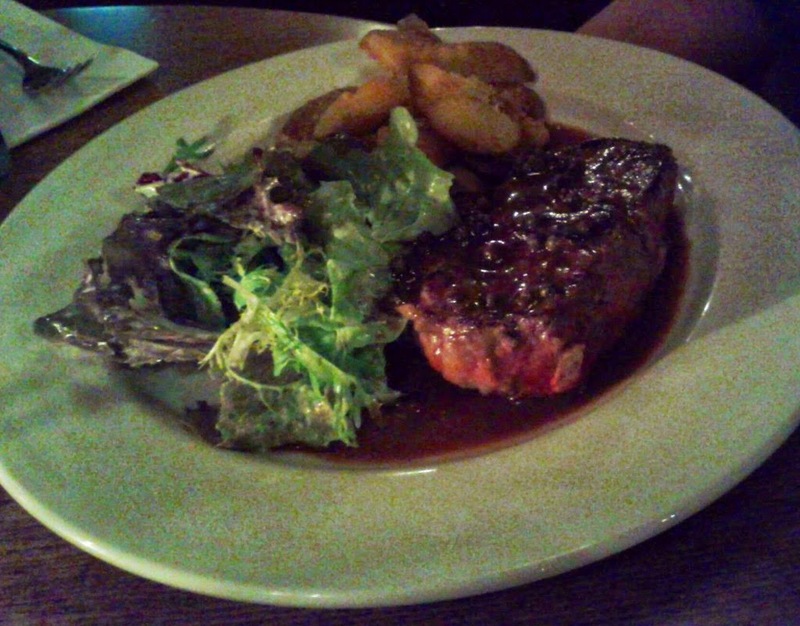 We began to peruse the menu which has a mix of pub classics and some different options. 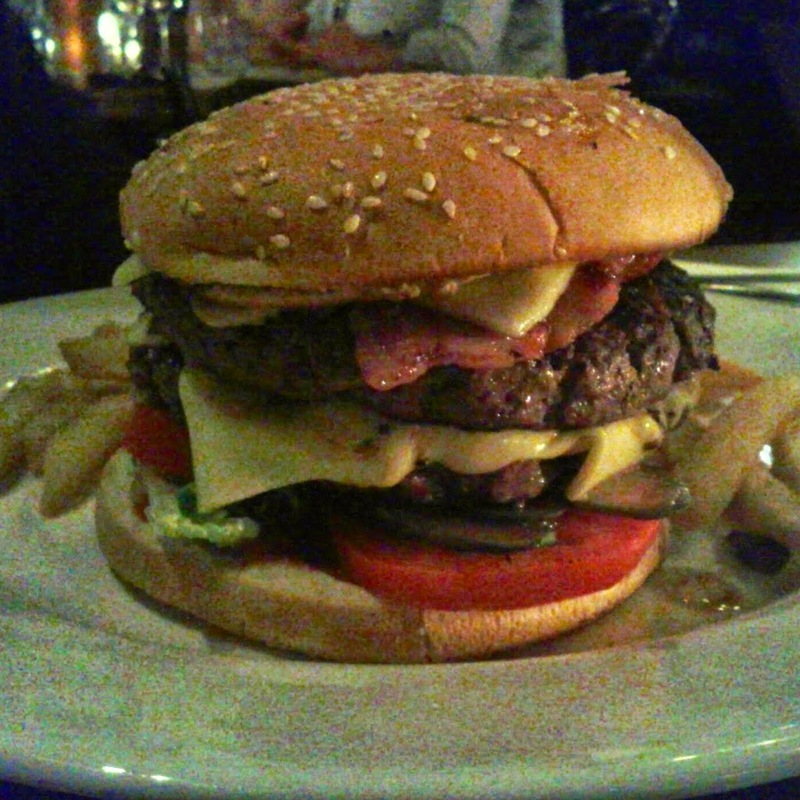 Rick had been hanging out for a burger, so went for the double patty Wagyu beef number which was also stuffed with cheddar, bacon, salad, pickles and mustard and served with fries. He looked like he enjoyed making his way through most of it. 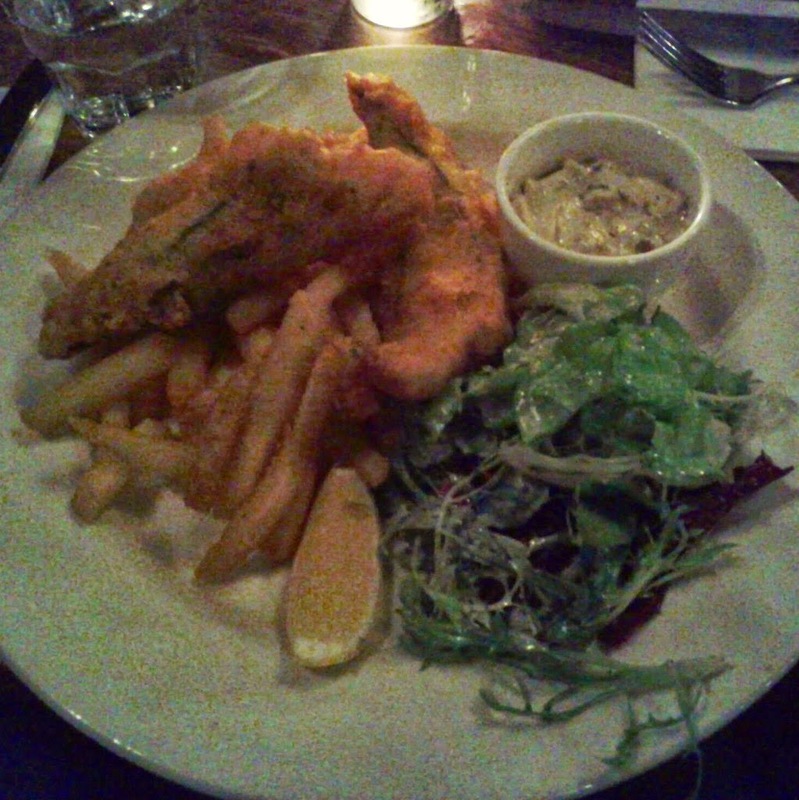 I had the beer battered trevally fillets with salad, fries, tartare sauce. Unfortunately the fish was a little oily and I ended up thinking that the marlin from the specials may have been a better option. 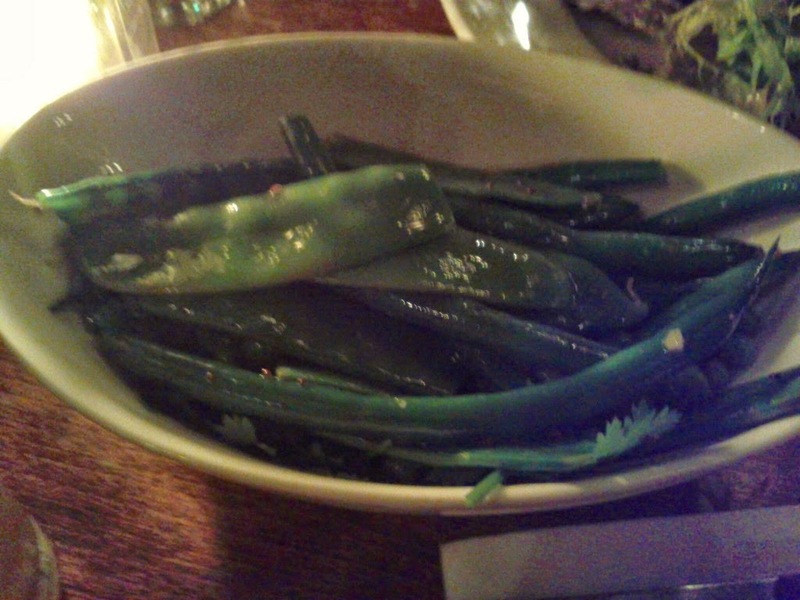 The green bean salad also featured peas, mustard seeds, tarragon and a light oil dressing. 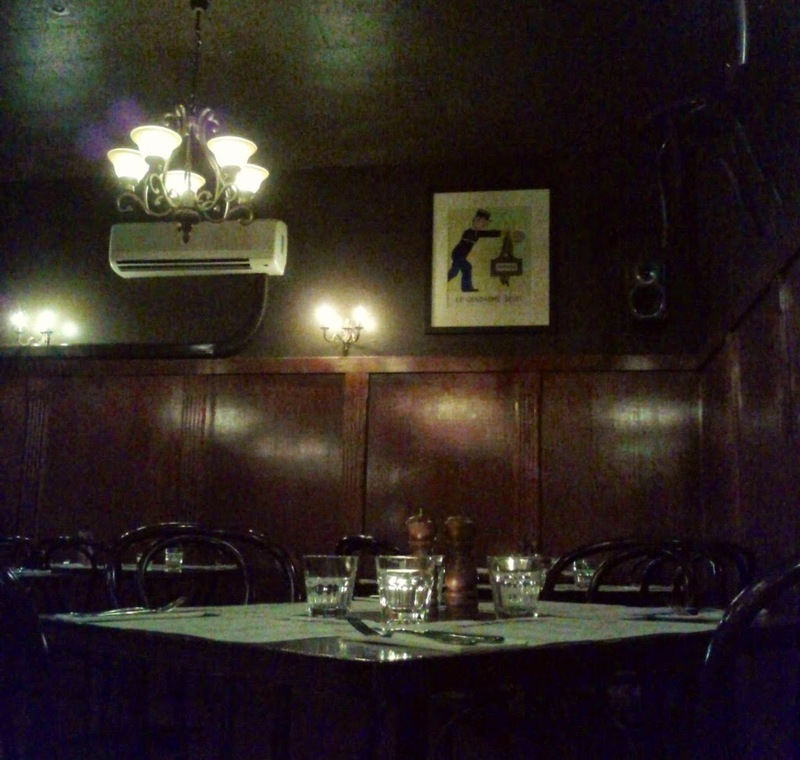 The service was friendly and happily tolerated our slow menu decisions and our loitering after eating. The bill with a one or two drinks each came to $150. The Royston is an atmospheric back street Richmond local that is a great option to dine at if you fancy some good pub food.